Cumbria brings the Lake District to the reading public with beautiful pictures of the countryside, inspiring stories about the inhabitants’ efforts to maintain the quality and beauty of the natural surroundings and funny, quirky details of the lives of the Cumbrians. 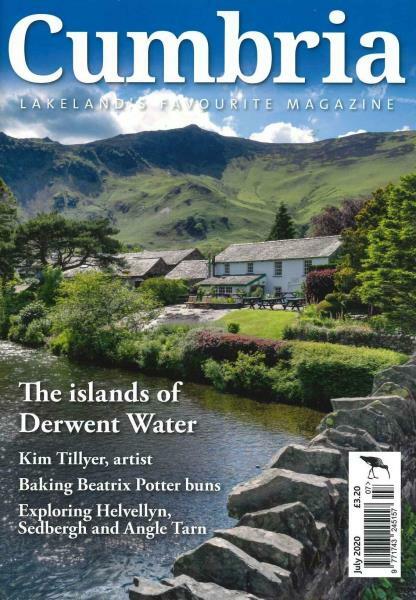 Buy a single copy or subscription to Cumbria magazine. Cumbria, part of the Lake District, is renowned the world over for the refuge it provided to great writers like Wordsworth and Beatrix Potter who enjoyed nature in its most untouched form and appreciated the space for long walks and observing nature. If you wish to find out more about the lakes that dot the district or the tiny little villages and mountains that are spread all over, subscribe to the Cumbria magazine for all the inside details of life lived. The history and cultural traditions that make Cumbria so unique are discussed in great detail in the magazine. There are stories of local heroes and myths about the various kings and queens that ruled the land. The many castles and picturesque sites are maintained and respected even to this date and are definitely worth a visit for the history buff. The Lake District is a must on many travellers’ itinerary in the UK and for good reasons.